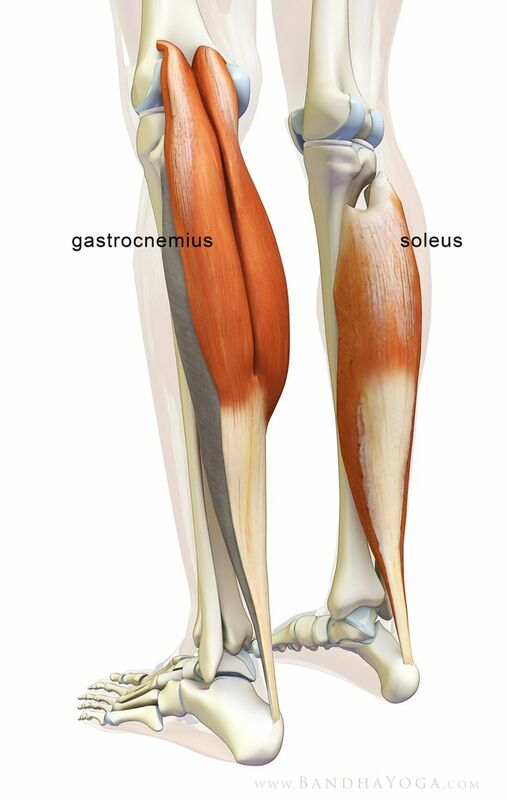 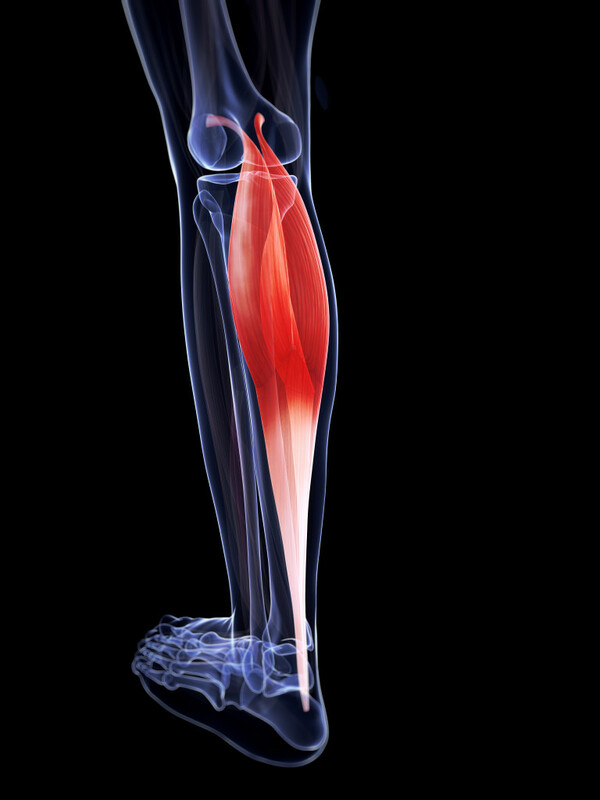 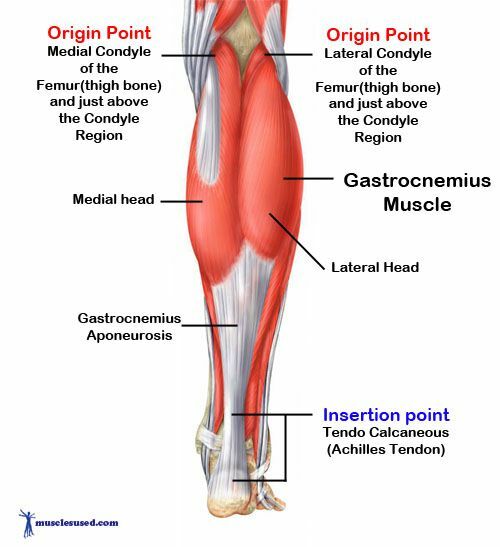 The gastrocnemius muscle (plural gastrocnemii) is a superficial two-headed muscle that is in the back part of the lower leg of humans. 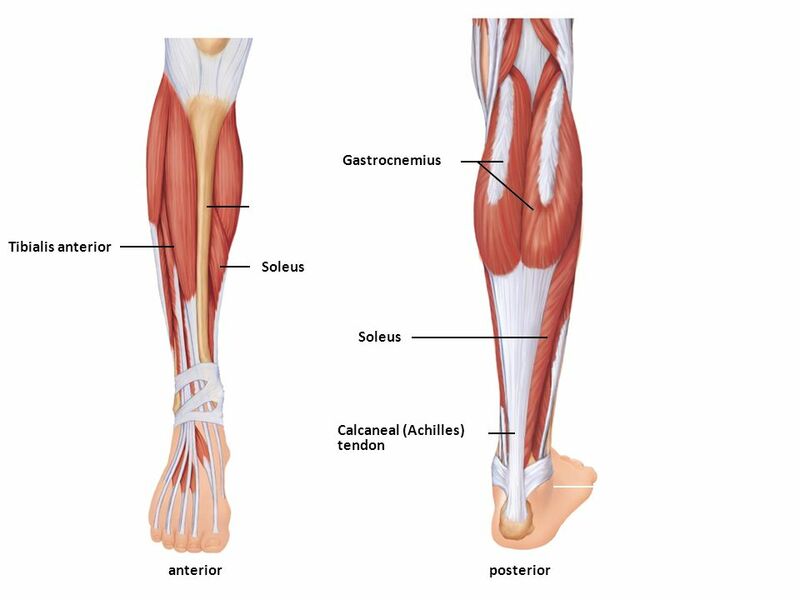 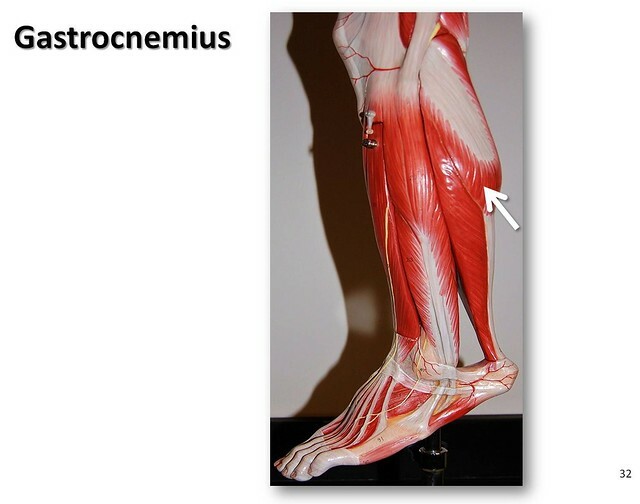 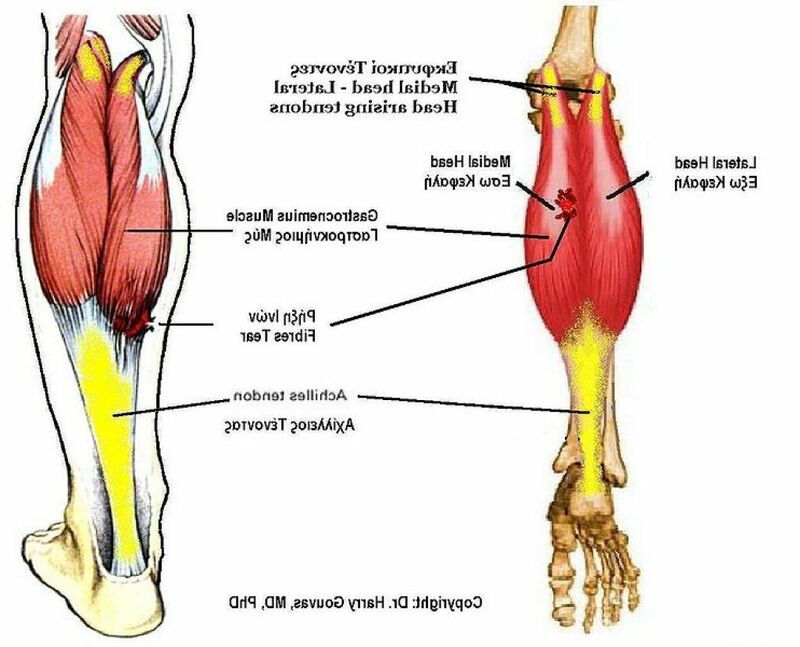 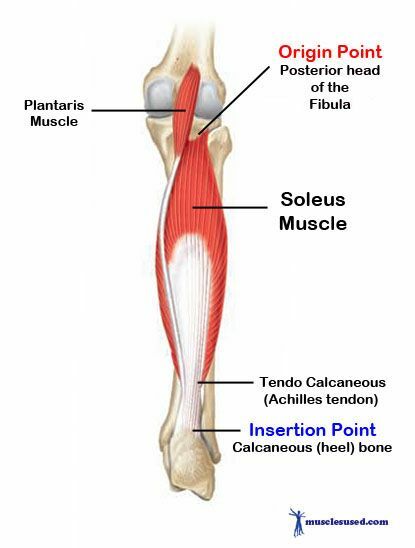 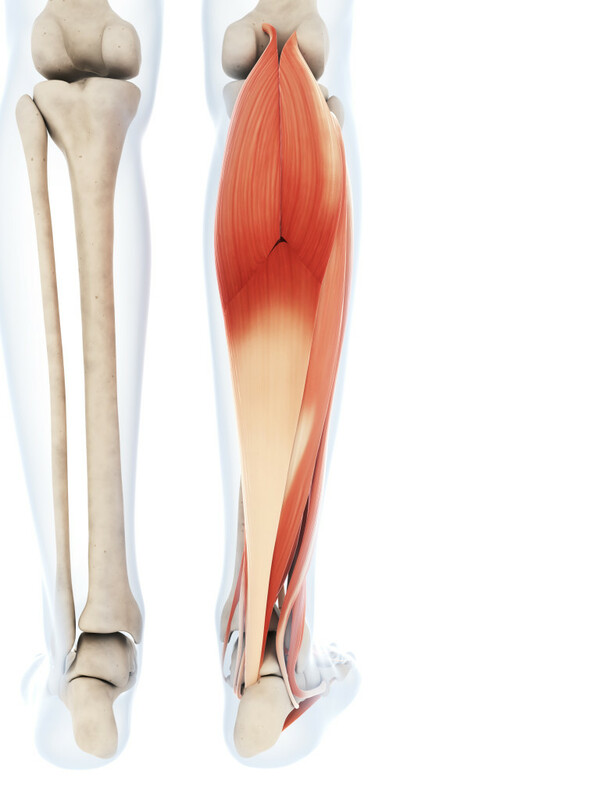 It runs from its two heads just above the knee to the heel, a two joint muscle. 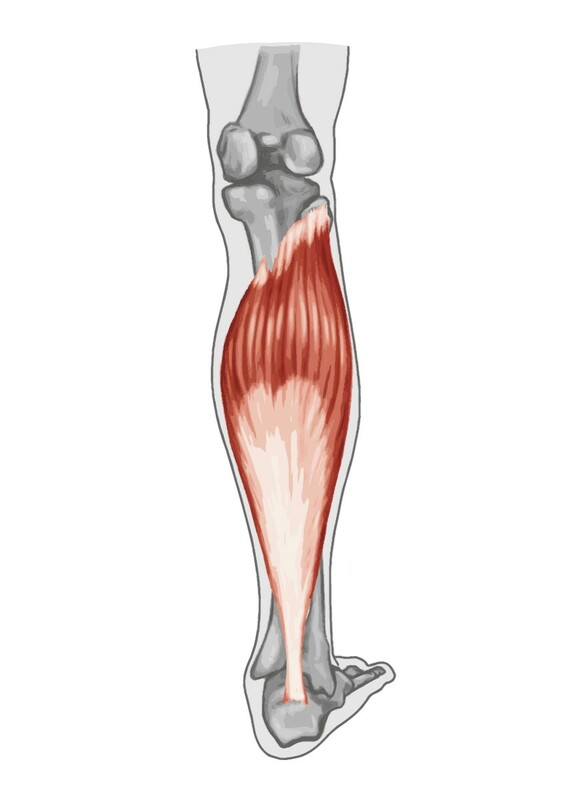 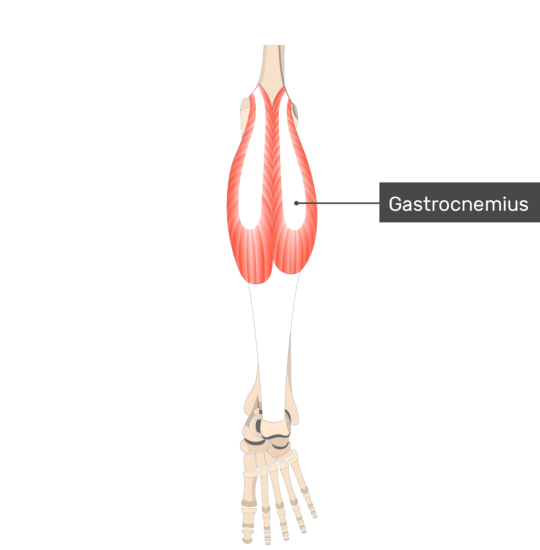 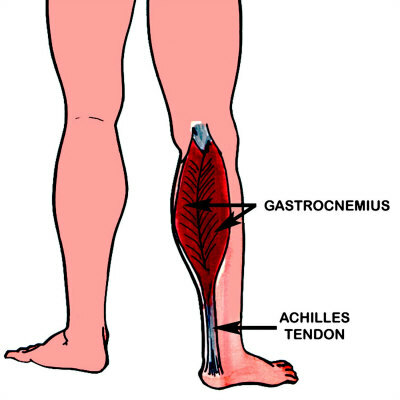 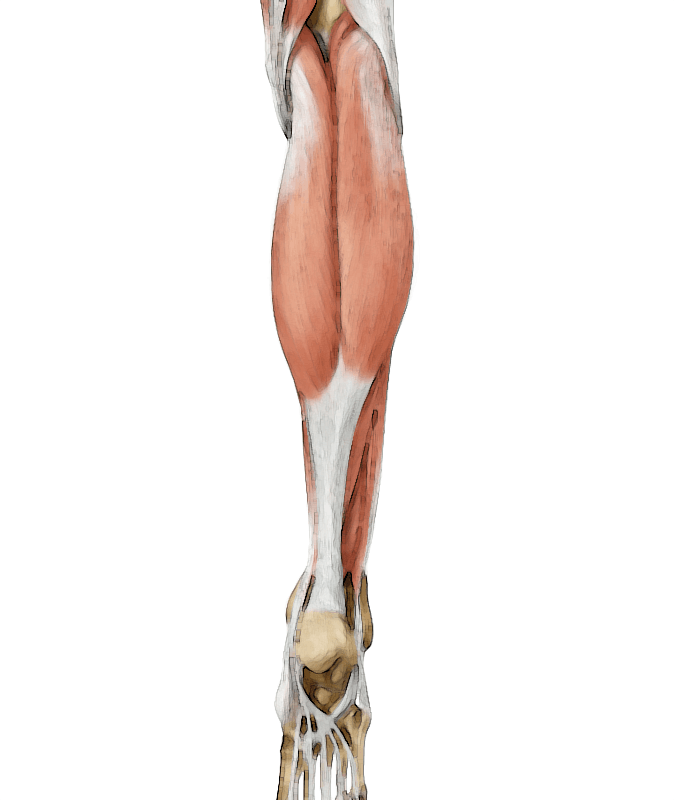 The muscle is named via Latin, from Greek γαστήρ (gaster) "belly or stomach" and κνήμη (knḗmē) "leg"; meaning "stomach of leg" (referring to the bulging shape of the calf).